The Priestly Fraternity of Saint Peter (Fraternitas Sacerdotalis Sancti Petri in Latin) is a Clerical Society of Apostolic Life of Pontifical right, that is, a community of Roman Catholic priests who do not take religious vows, but who work together for a common mission in the world. The mission of the Fraternity is two-fold: first, the formation and sanctification of priests in the cadre of the traditional liturgy of the Roman rite, and secondly, the pastoral deployment of the priests in the service of the Church. A deep love and devotion to the Blessed Eucharist in the Holy Sacrifice of the Mass. Faithful following of Christ the High Priest, source of all grace, our example and our inspiration. Filial love and true devotion to Mary the Mother of Priests and patroness of our seminary, Our Lady of Guadalupe. Loyalty and fidelity to, and dependence on, the Magisterium of the Church and the successor of Saint Peter, our Patron. The two crossed keys principally evoke Saint Peter, Patron of our Fraternity. They also refer to the Holy See, to which we have been united with indefectible fidelity since our foundation. The absence of a tiara and the color of the background, however, clearly distinguish our arms from those of the Apostolic See. The blue background, a Marian color, reminds us that the FSSP is under the protection of the Mother of God (Constitutions #4). Lastly, the tears commemorate the difficult historical circumstances of our inception: “Qui seminant in lacrimis, in exsultatione metent” (Ps 125, 5), as well as Saint Peter’s triple assertion of love for the Lord (Jn 21, 15-17). This number may also evoke the three central aspects of our charism – hierarchical fidelity, doctrinal rectitude and the Gregorian liturgy. In 1988, Pope John Paul II established the Priestly Fraternity of St. Peter as a Clerical Society of Apostolic Life of Pontifical right, and approved its constitutions. The Fraternity was founded in response to the Holy Father’s call to ecclesial unity and the new evangelization. Hence, our name denotes a filial love and loyalty to the Supreme Pontiff. The primary patron of the Fraternity from its inception was Joseph Cardinal Ratzinger, then head of the Congregation for the Doctrine of the Faith, later becoming Pope Emeritus Benedict XVI. In 1994, with the permission of Bishop Timlin, Father Josef Bisig announced the establishment of Our Lady of Guadalupe Seminary at Elmhurst. It was soon apparent that the growing number of seminarians mandated a separate building. In 1998, at the invitation of Bishop Fabian W. Bruskewitz, Bishop of Lincoln, Nebraska, the decision was made to construct a seminary in Denton, and in the fall of 2000 the new seminary opened. Since its formation, the North American District has experienced a continuing increase in the establishment of parishes and apostolates. Under Father Devillers, first North American District Superior, and his successors, Frs. Paul Carr and George Gabet (the current District Superior), parishes and apostolates have been established in seventeen dioceses in the United States. In addition to the aforementioned dioceses they include, the Archdiocese of Denver, Colorado and the Dioceses of Rapid City (South Dakota), Little Rock (Arkansas), Lincoln and Omaha (Nebraska), Youngstown (Ohio), Paterson (New Jersey), Kansas City (Kansas), Atlanta (Georgia), Tulsa and Oklahoma City (Oklahoma), Corpus Christi and Dallas (Texas), Colorado Springs (Colorado), Indianapolis (Indiana), Sacramento (California) and Boise City (Idaho). All Saints Catholic Church became the newest parish to be served by the Fraternity, with priests taking over administrative and pastoral duties of the Parish in July 2013. In 1995 the pastoral work of the District truly became “North American” with the invitation to the Fraternity by His Grace, Archbishop Marcel Gervais, Archbishop of Ottawa (Ontario), to minister in Canada. With the invitation of other members of the Canadian hierarchy the Fraternity has established parishes and apostolates in Ottawa and St. Catharines (Ontario), Calgary (Alberta) and Vancouver (British Columbia). Through its first decade the number of District priests has also increased tremendously. From its original two members the District now has 75 priests engaged in pastoral or seminary work. This number continues to grow each year through ordinations. 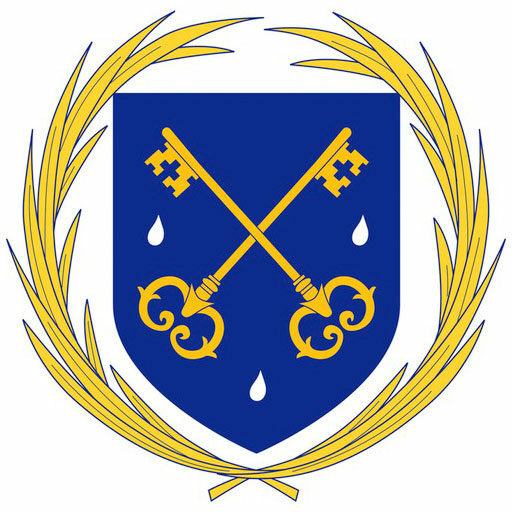 For more information about the history, mission and apostolate of the FSSP, please visit the FSSP North America page and the FSSP International page. Using the ancient liturgy as our well-spring, we form our priests in the traditions of the Church to serve at the altar and in the parish so that the fullness of Christ might enter the emptiness of the world. A Facebook group of laymen and women to discuss and publicize events, news, and information related to the Priestly Fraternity of Saint Peter. See photos of the Priest of the Day here with reminders to pray for our priests. Subscribe to receive articles published in The Missive for announcements, news, and stories from FSSP Apostolates. Visit our Facebook Page to Stay informed about parish events, Mass time changes, and view photos from our liturgical celebrations. O almighty and everlasting God, who dost govern all things both in heaven and on earth: mercifully hear the prayers of Thy people, and grant us peace in our time.